As you may know we have had a long love affair and relationship with The Honest Kitchen, a great company that is known for their human grade dehydrated dog food. So I was super excited when they asked the girls to try out their dog Bone Broth with Turmeric. Bone broth has to be one of the biggest food trends for humans. But I wondered how my girls would react to it. I know they love their raw meaty bones, so they would have to love this. Right? RIGHT!!! Since I normally feed the girls a species appropriate diet along with an Honest Kitchen base mix such as Preference or Hale I was super excited to add this in the place of the water that is used to normally hydrate the mix. Unfortunately I ran out of the base mix and had to improvise. 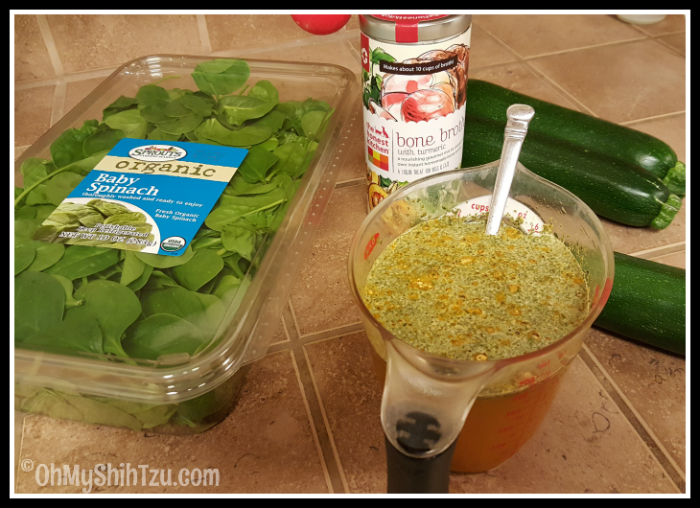 So I mixed together a toasty smoothie and instead of adding regular water I added in the Bone Broth with Turmeric. Wow talk about adding in some great nutrition! It smelled so good I almost drank it! 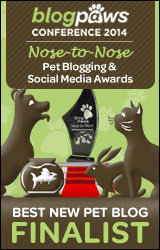 What Makes Dog Bone Broth So Nutritious? Dog Bone broth is rich in protein and are a great source of minerals. In addition broths are rich in natural gelatin which can be great for skin and coats. Though a dog bone broth is pretty easy to make at home, you can find a ton of recipes on Pinterest, I love that THK makes a broth to make quickly. 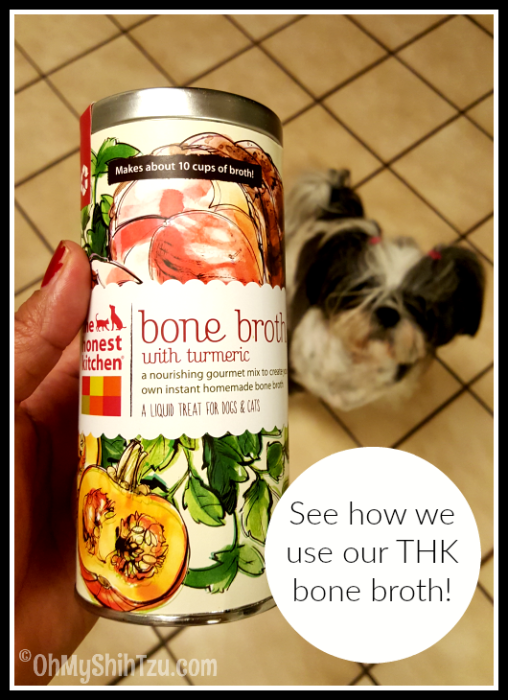 When I’m in a pinch or just want to warm the girls tummies on a cold winter night before bedtime, the THK Bone Broth makes this easy to give them a nutritious snack or meal additive. One five ounce can make approximately 10 cups of broth and it’s so easy to make. All you have to do is add one heaping tablespoon to 1 cup of hot water, stir, allow to sit for a few minutes and serve! Just make sure that the broth is the proper temperature and not to burn your dog’s mouth, tongue or throat. So make sure you try it out today, I know you will love it!! Takes a lot of planning.